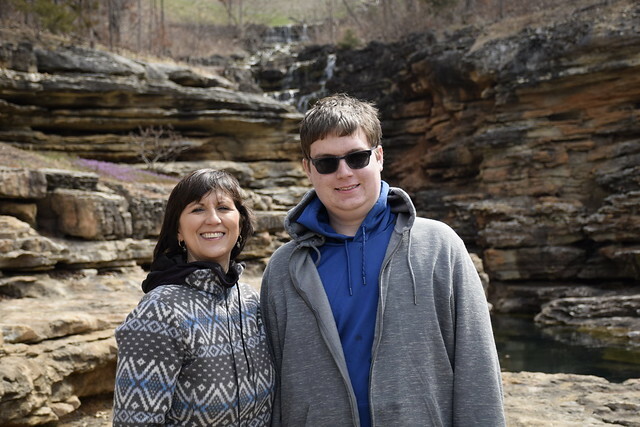 Still documenting the continuing saga of our family Spring Break Trip to Southwest MIssouri a couple weeks ago. Our second day we went to “Top of the Rock” which is a sister organization to Big Cedar Lodge and is right adjacent to it. I was kind of confused about what Top of the Rock was before we went and I am still kind of confused. 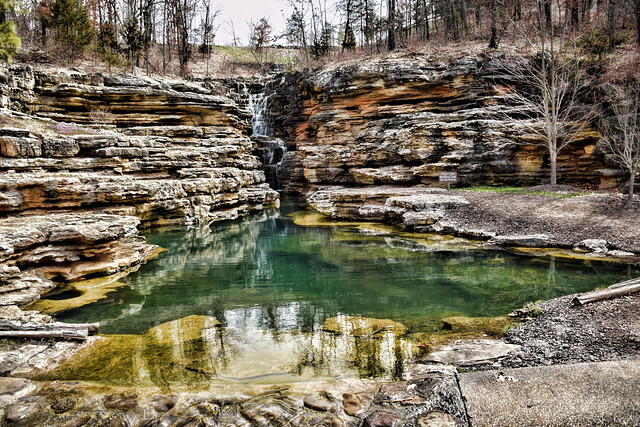 The first part we ran into was the “Lost Canyon Cave and Nature Tour” which is kind of a self guided tour of a cave and series of waterfalls. It is not only self guided but they give you a golf cart to go in. No walking allowed!! To get the cart you fork over a pile of cash and sign the longest list of releases I have ever seen. And then off you go!! Was it nice, sure, but there wasn’t much natural about it. The cave is fake, and many of the rocks are faked and I think that the waterfalls are fed by pumped water. Was it fun? Sure it was a lot of fun. Was it a rip off? No, they spent a fortune building the landscape and the trails and did a great job of it. The golf cart trail winds along a canyon and they have places to get out for photo opportunities. So think of it as a very slow ride that you can get off when you want. Am I glad I did it? Sure! Would I do it again? Nope!! A copy of the iconic End of the Trail sculpture by James Earle Fraser. What a setting on an infinity pool overlooking a lake. From the parking lot of the Nature Trail, you take a shuttle bus to the rest of the complex. There is a beautifully set wedding chapel, a spectacular golf course and driving range, a wine bar in a cellar, two very nice restaurants, a great Natural History Museum, and there is a hotel just starting construction. 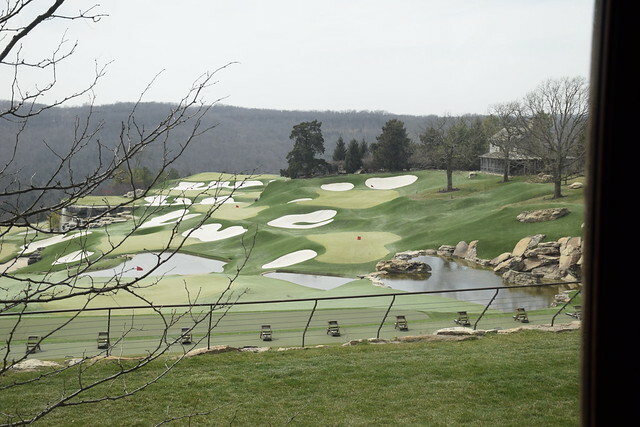 You can see why the complex is called “Top of the Rock” it is on top of a mountain overlooking Table Rock Lake. It is spectacular. We were there on a Sunday so everything is closing early but we will be back from some sunset dining there. Three story wedding chapel. 2 is the main floor, 3 is a loft, 1 is changing rooms ( I think) it has an elevator. How many quaint country chapels do you know have an elevator? 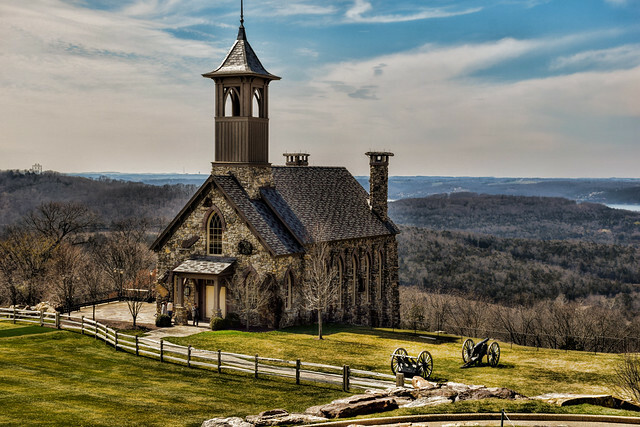 The stone wedding chapel. The back side overlooks the valley and lake below. What a place to exchange vows. And who knows, you pay enough money they might shoot off the cannon for you at the right moment. A view of the driving range and par 3 golf course. My friends tell me that it is an evil course. I would love to play it again. As much as we loved the outside, Heather and I thought the Ancient Ozarks Natural History Museum was a highlight. 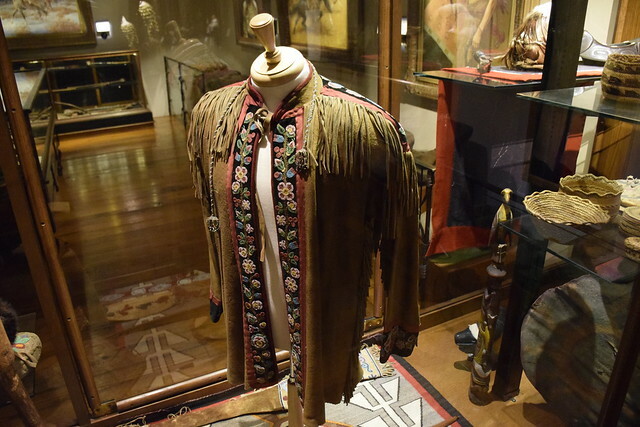 It is a sprawling museum covering everything from the ancient flora and fauna of the area and the heritage and history of the Native Americans from the area. The museum is very well done and has lots of unique items. Photography without a flash is permitted but it is so dim (to preserve the art and specimens on display” that it was hard to get a good photograph (cuz I am a rule follower especially when it comes to photography in museums). 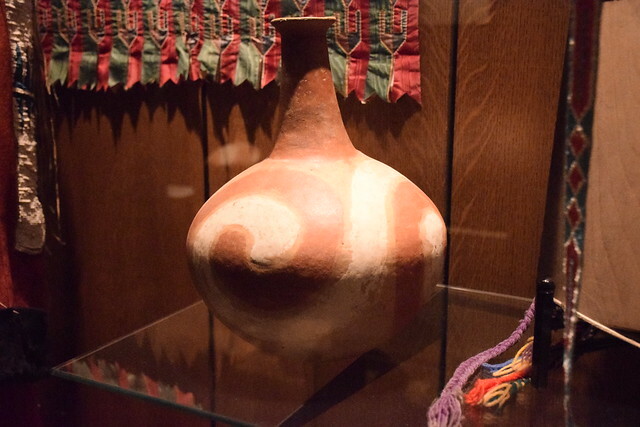 They had some Native American Pottery like I had never seen anywhere else, and we hit all the museums that we can. So here is the rest of my crew. We had a great time and will be back. 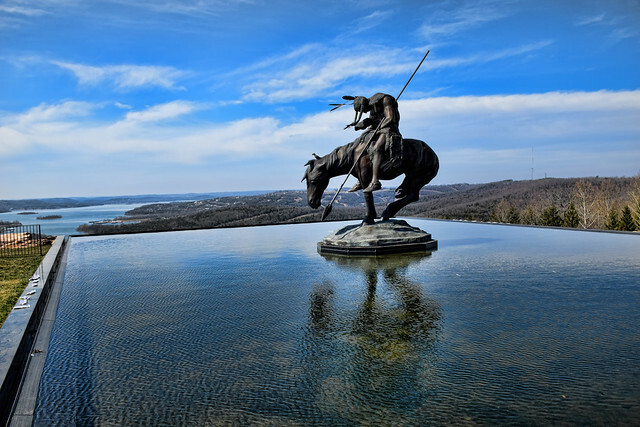 This entry was posted in Skywatch Friday and tagged Missouri, Skywatch Friday, Spring Break, Top of the Rock on March 28, 2018 by Alan Bates.